WE DO NOT - Management Center Open Mind Ltd.
Open Mind Management programs are developed on the ground of a patented methodology - "Cognitive Topology" (PCT/CA 2012/050715) to the World Intellectual Property Organization by Viktor St. Hadjiev. 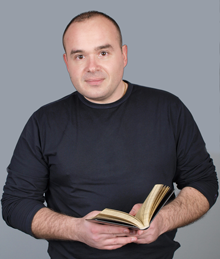 By vitue of the granted intellectual property rights the only person authorized to carry out the above-described programs is Viktor Hadjiev. Please note that all of the above programs are licensed to, patented or are in the process of being patented with WIPO by Viktor Hadjiev, which in turn guarantees uniqueness of the expressed educational materials and business projects.